If you are looking forward to replacing your drywall, or repairing custom drywall, you should carefully consider many factors. Remember that it is not essential to go for the complete replacement in most cases. You can even get away with minor repairs and this will not cost you much when compared to completely replace the entire structure. However, in other cases, it becomes inevitable to replace them, especially when they are infested with mold and other harmful things. You should ensure that you completely remove the source of the infestation, and then proceed to replace the drywall. Even though it appears like a simple task, you should avoid doing it yourself and always hire a professional handyman to accomplish the task. This is the best way to fix the drywall and they will have the required tools and experience to handle them in a proper way. You can rest assured that you will get the best value for your money in this manner. If you want to do it yourself to save some money, you will need a host of equipment to complete the task and this is not worth buying just for a simple task. You will be spending more money on the equipment than on the actual materials. In this regard, choosing the services of a professional handyman will save you lots of money. Your trusted handyman should be the best person to suggest you about this option. Depending on the extent of damage done to the wall, it can be either repaired or replaced by the handyman. When the mold infested parts are in small places and the damage is due to some nails and other things, it can easily be repaired and only the damaged area has to be set right in this process. On the other hand, when you have a large hole or huge infested areas, it is not a good idea to retain the old wall and you have to completely get in replaced with a new drywall. If your drywall has mold, and you are moving out, you can always choose new home construction in the future. You can easily get in touch with the leading service providers in your region and discuss your issues with them. 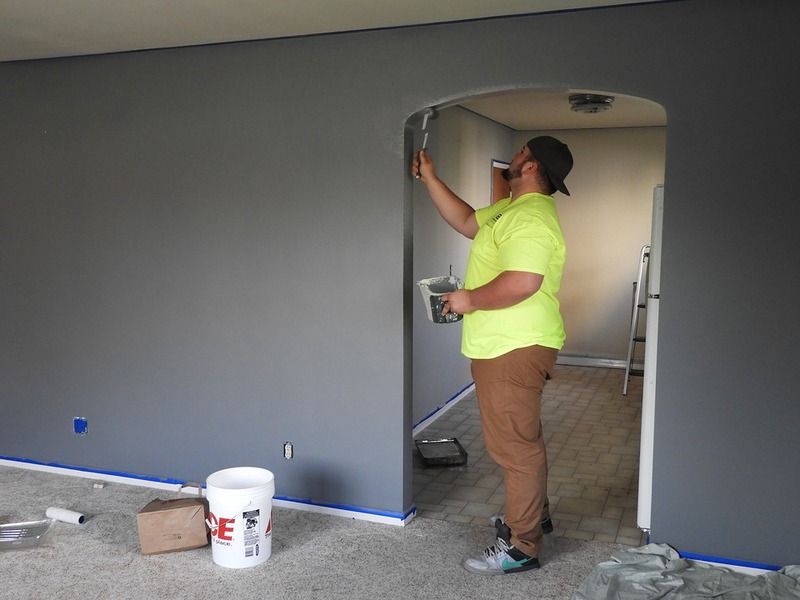 They will carefully analyze your situation and suggest you with the best option suited for your wall. They can even supply the required materials for the task and complete the installation of the drywall in your home. This is very convenient as you need not have to do anything when you approach them with your problem. They will take care of everything and you will also be assured that the new wall will last for a long time as it is installed by professionals. The services provided by handyman are very reliable and they will have many years of experience in fixing such damaged walls. They will choose the best quality materials that will last for a long duration without any hassles. In this regard, you can rest assured that you will get the best value for your money.